Surging construction costs compounded by new tariffs and high land prices are the talk of the town among developers these days, but a huge spike in the number of multifamily units permitted shows that builders are still very bullish on Northern Jersey. A total of 9,372 new rental and condo units were permitted in buildings of 50 units or more between April 2017 and March 2018 in Bergen, Hudson, Essex, Morris and Passaic counties, according to an analysis by The Real Deal. That’s more than a 79 percent increase over the prior 12-month period, when only 5,229 units were permitted in projects of that size. The area is often a last stop before going the full suburban route, said Gabe Pasquale, senior vice president of marketing and sales with Landsea Homes, the developer of the Avora at Port Imperial, which opened to residents in early June with 183 condominiums. 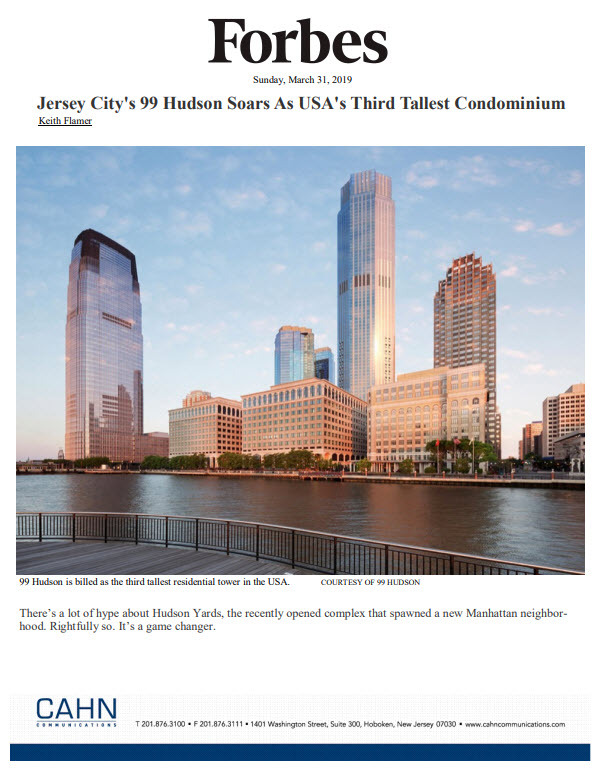 “I think that buyers see Weehawken as more of a peaceful, quiet, tranquil and sophisticated market,” Pasquale said.